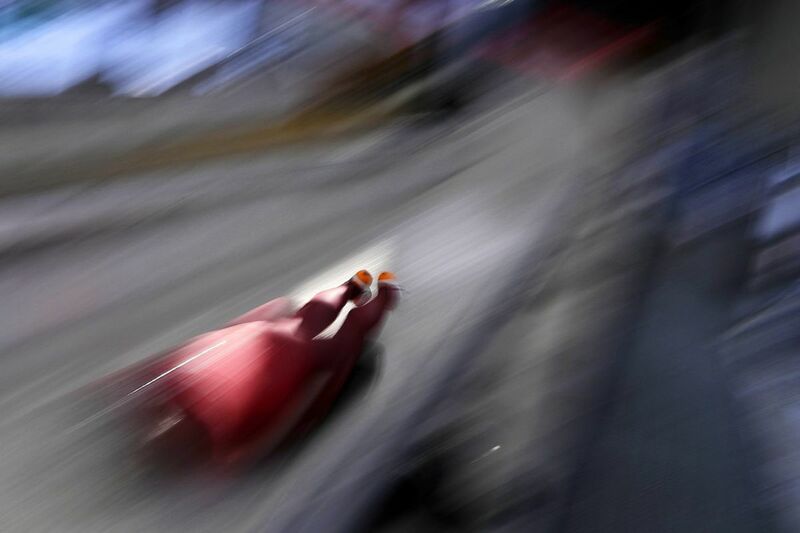 Vladislav Marchenkov of the Olympic Athletes of Russia practices during a training run for the men’s skeleton at the 2018 Winter Olympics in Pyeongchang, South Korea, Tuesday, Feb. 13, 2018. Highlights of Thursday's action at the 2018 Winter Olympics in Pyeongchang, South Korea include men's figure skating, women's snowboard cross and men's skeleton in prime time on NBC. Here are Thursday's full television listings. All listed times are Eastern. 1:05 a.m. to 2 a.m.
7:10 a.m. to 9:30 a.m.
11 p.m. to 2:40 a.m.